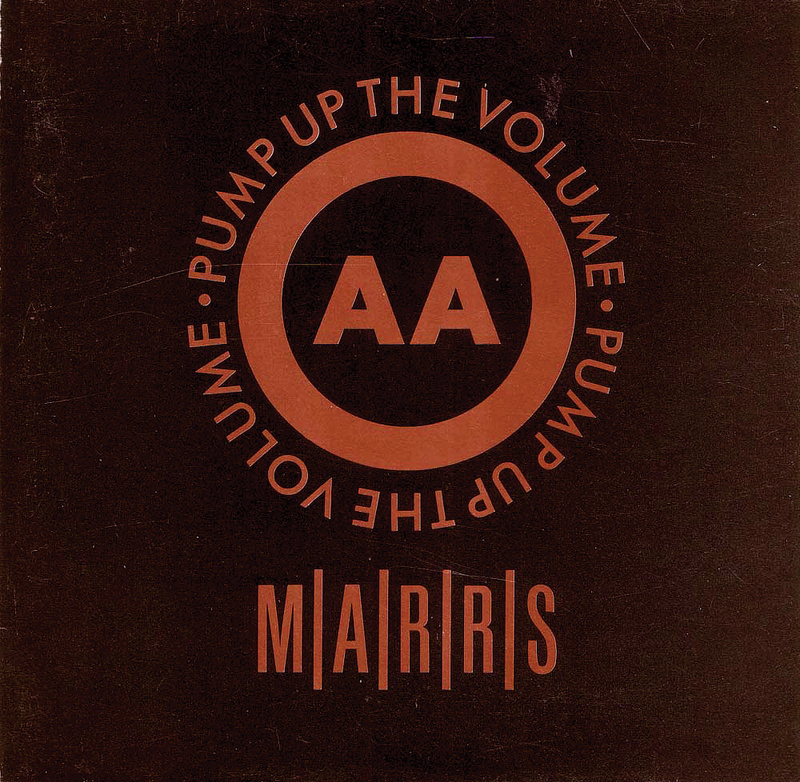 The unlikely result of a collaboration between two 4AD bands, the release of 'Pump Up The Volume' by MARRS was a great day for house music and copyright lawyers alike. A record company-arranged collaboration between two of its groups that resulted in the recording and release of a solitary single. The first UK chart topper to contain samples from other people's recordings. The subject of litigation to ensure that some of those samples were removed for the version issued in America. And a Grammy-nominated, British house-music landmark whose blatant use of unlicensed material led to a pile of copycat releases and a short-lived bonanza for copyright lawyers. All of this was no mean feat for what's commonly termed a one-hit wonder. 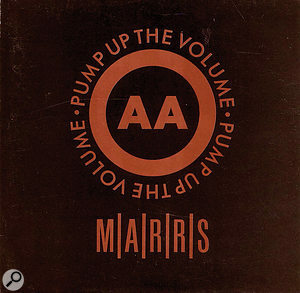 The double A-sided single 'Pump Up The Volume'/'Anitina', released on the independent British label 4AD, was credited to MARRS, an acronym for the first names of the artists involved: Martyn Young of Colourbox, Alex Ayuli of AR Kane, Rudy Tambala of AR Kane, Russell Smith — a part-time contributor to AR Kane — and Steve Young of Colourbox. Featuring sampling and scratching by the DJs Chris 'CJ' Macintosh and Dave Dorrell, as well as a title lyric lifted from Eric B & Rakim's 'I Know You Got Soul' (which took its own title from the identically named 1971 Bobby Byrd song that it heavily sampled), 'Pump Up the Volume' was the track that attracted all the attention, and it did so by sampling no fewer than 26 records for its original UK release. These included drums from the Bar-Kays' 'Holy Ghost' and Kool & The Gang's 'Jungle Jazz', as well as vocal snippets from the Afrika Bambaataa/James Brown duet 'Unity', Brown's 'Super Bad (Part One)', Public Enemy's 'You're Gonna Get Yours', Run-DMC's 'Here We Go (Live At The Funhouse)' and, most problematically, Stock, Aitken & Waterman's 'Roadblock'. Fryer didn't mix the version of the song that was released on the 4th & Broadway label in America. In addition to 'Roadblock', this excluded the James Brown "watch me” sample from 'Super Bad' as well as vocal snatches by Lovebug Starski, Montana Sextet, Whistle, Fred Wesley & The JB's and Grand Mixer DST with Jalal Mansur Nuriddin. In their place: an "Oh yeah” by Choice MC's and Fresh Gordon, an "Oh” by Nuance, George Kranz going "Din daa daa,” and the title line from the trailer to the 1967 schlock sci-fi movie Mars Needs Women. Engineer John Fryer at the time of the recording of 'Pump Up The Volume'. John Fryer launched his career at South East London's Blackwing Studios in 1980, working as a tape-op/tea-boy after having recorded demos there with a friend's band, and during the next nine years he recorded artists on indie labels such as Rough Trade, Beggars' Banquet and, mainly, Mute and 4AD. Depeche Mode, Yazoo, the Cocteau Twins, Peter Murphy and Modern English were among Fryer's production and engineering credits before he became involved with MARRS. And so was This Mortal Coil, the goth-rock/-pop outfit of which he was one of two official members, along with 4AD co-founder Ivo Watts-Russell. Meanwhile, Mute Records founder Daniel Miller, who produced some of the projects with Depeche Mode and Yazoo, was an early mentor. 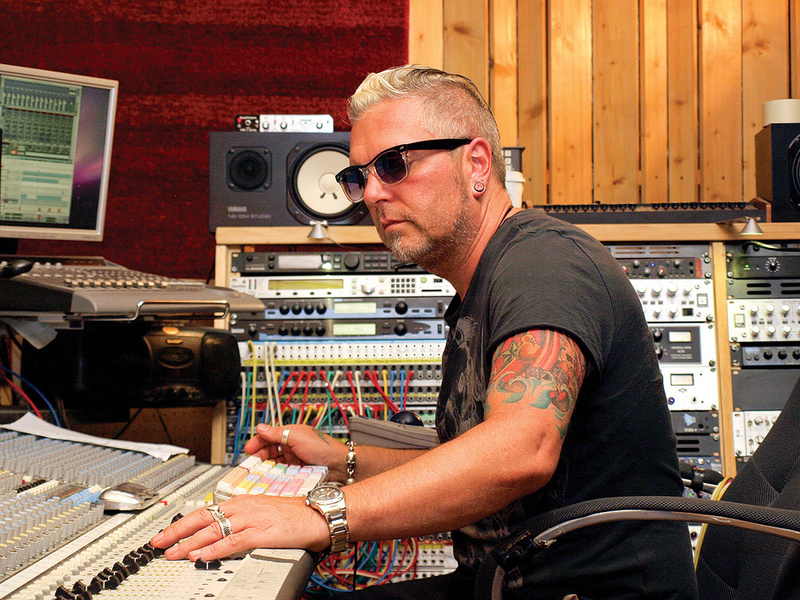 By the time of the MARRS project, Blackwing, housed within a deconsecrated church, was equipped with an Amek 2500 console and Studer 24-track machine, and it was there that John Fryer engineered 'Pump Up The Volume'. This was after Ivo Watts-Russell's bright idea of uniting electronic outfit Colourbox with dream-pop duo AR Kane to cash in on American house music and the burgeoning underground UK dance scene. This had resulted in the recording of the latter's 'Anitina (The First Time I See She Dance)', featuring drums programmed by Martyn Young's brother, Steve. This was aside from the addition of some overdubbed guitar, for which Fryer may not have been present. "Given my hectic schedule of working on so many different projects at that time, I was actually in another studio with another artist while some of the parts were being recorded for 'Pump Up The Volume',” he says. "You have to understand, it was just one project among many for me back then. I'd finish one session at six o'clock in the morning, clean up the studio and then the next guys would be loading in at around 10. Still, I was there for most of the 'Pump Up The Volume' sessions, despite nearly every engineer in London saying, 'Oh, yeah, I worked on that record,' as soon as it hit number one. It's funny that their names didn't appear on it. "When the sessions commenced, our starting point was the bass drum. Martyn was meticulous about what he did — he could sit there all day just listening to a bass drum and EQ'ing it. In this case, I recall him listening to it for a couple of days, coming out of an Akai S1000 sampler or an Emulator, after which the next thing he did was add the bass line. I gave him some sounds for that out of the Akai and was credited on the back of the record for doing so. Then, at some stage, he brought in his DJ friends CJ Macintosh and Dave Dorrell, who were winning awards at that time for their scratching. This was all kind of new and very interesting to me, because it had never been done in the studio before. Some of the scratching was sampled after we'd recorded it, whereas other bits were done live. Initially released to dance clubs in July 1987, 'Pump Up The Volume' was issued as one half of a double A-sided 12-inch single on 24th August of that same year. This was followed by a more sample-laden remix a week later incorporating snippets of recordings by the Bar-Kays, Criminal Element Orchestra and Public Enemy. A 7-inch edit enjoyed plenty of air time on UK radio, and it was while this single stood at number two on the singles chart that an injunction by Stock, Aitken & Waterman resulted in the record's distribution hitting its very own 'roadblock'. After five days, an agreement was reached whereby the offending seven seconds of a background voice wailing "Hey” was to be removed from all overseas releases. However, while this happened for the version that reached number 13 in America, the hit version in Australia retained the 'Roadblock' sample. Not that SAW had much to gripe about from the perspective of MARRS, John Fryer and 4AD. After all, while Pete Waterman penned an open letter to the British music press, asserting that the unlicensed use of his non-musical material was nothing short of "wholesale theft”, several publications noted that his own production of Rick Astley's 'Never Gonna Give You Up' — which immediately preceded 'Pump Up The Volume' in pole position atop the UK chart — utilised the bass line from Colonel Abrams' 'Trapped'. As it happens, DJ Dave Dorrell actually took some of the blame for the legal problems surrounding 'Pump Up The Volume', by pointing out that if he had not crowed about the use of 'Roadblock' during a radio interview, SAW might have never even noticed it was part of the song. After topping the charts in the UK, Canada, Holland and New Zealand, as well as going Top 10 in several other countries, 'Pump Up The Volume' would subsequently receive a Grammy Award nomination for Best Pop Instrumental Performance (losing to David Sanborn's 'Close-Up'). 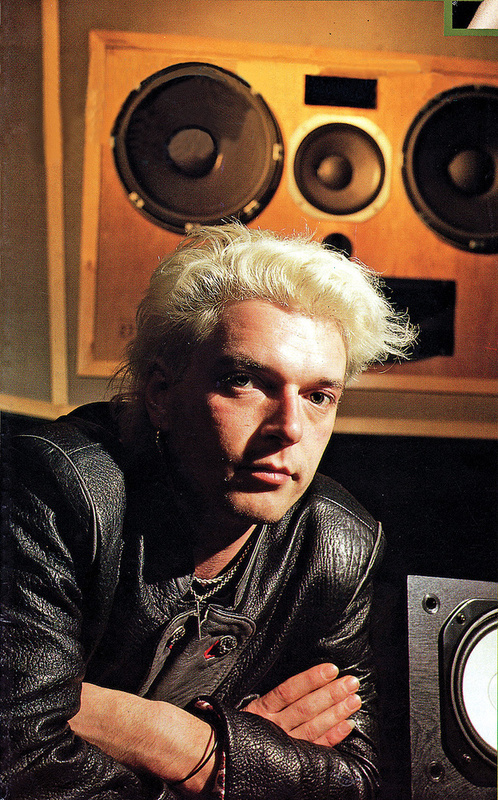 Yet, when working on it, John Fryer had no idea of the success that the track would attain and the impact it would have on the contemporary music scene, inspiring the likes of S'Express's 'Theme From S'Express', Bomb The Bass's 'Beat Dis' and Coldcut's 'Doctorin' The House' before imitators across Europe and the United States also jumped aboard the sample-crazy bandwagon. Thanks to the deluge of litigation and air of over-familiarity bred by the eventual recycling of the same samples, the craze for assembling sample-based tracks like jigsaw puzzles didn't last beyond the end of the 1980s and the rise of acid house. 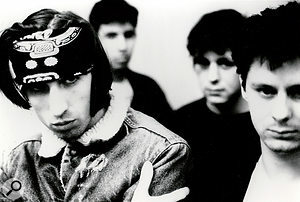 By then, MARRS was no more, AR Kane's Alex Ayuli and Rudy Tambala having made it perfectly clear in press interviews that they had no intention of collaborating with Colourbox ever again; not least because their own contributions to the iconic hit single had been virtually nil. For their part, Martyn and Steve Young weren't about to pay the £100,000 that AR Kane were demanding for full rights to perform under the MARRS banner. So, 'Pump Up The Volume' remained their solitary success on the singles charts... and the aforementioned musicians were virtually never heard of again.